Often inspired by pop culture, the motifs and characters in Eddie Martinez’s work usually include humans and animals with big staring eyes, clowns, skulls and cartoonish ducks. Less serious, but more humorous images enchant with their bright colors and simple forms. The only seriousness in the present is background philosophy revealed trough relationship and communication between his subjects. 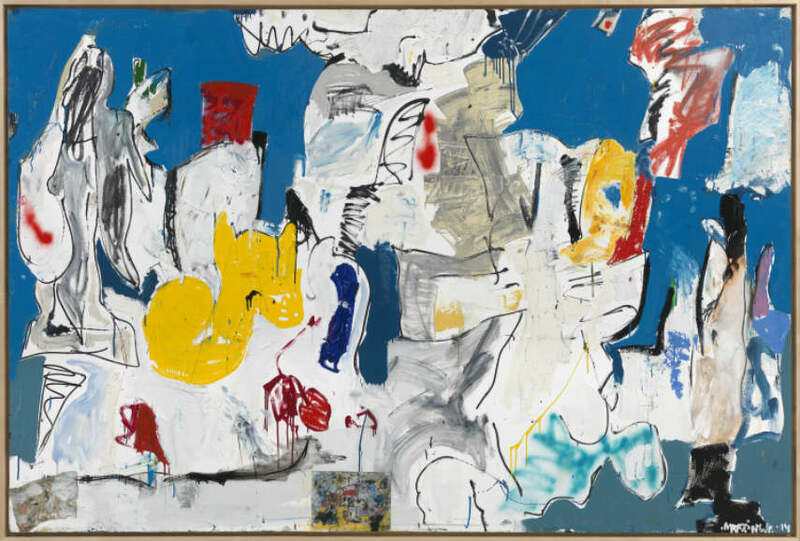 Influenced by classical tradition of still-life, allegorical narratives and portraits, especially by De Kooning’s art, his expression is processed with simplified and rough brushstrokes, bold contours and semi-abstraction. Martinez was always interested in art and for the first time his potential and talent was displayed during the house painting job when he was scribbling over the painted walls. Basically self-taught as a painter, he has left two art schools in Boston and stayed with very little formal education. He uses classical techniques, as the oil and acrylic paint, but he often incorporates some different and unusual media, like pencils, pen, paper, markers and spray paint, even gum wrappers, paper towels and baby wipes, reflecting the urban chaos of the world around. Joining together his personal creativity and urban culture with modern masters’ expression, Martinez reveals remarkably strong visual language. 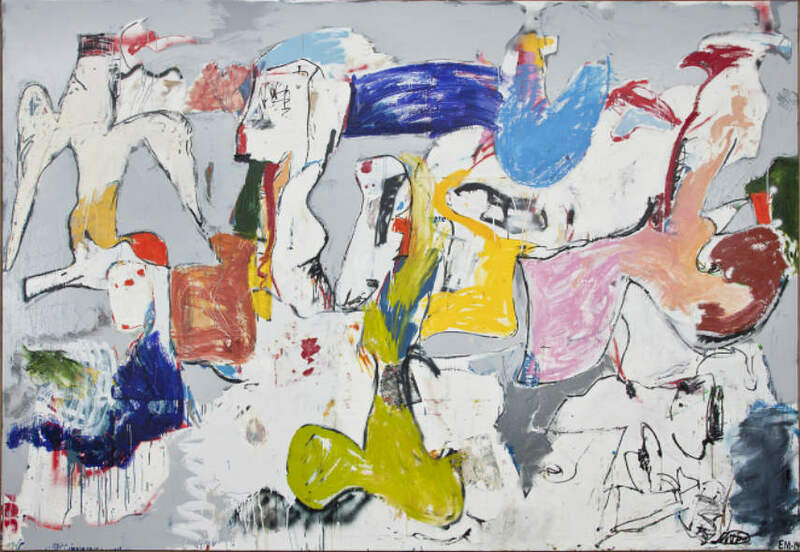 Drawing his inspiration from a wide-range of sources, he involves major art historical movements of the 20th century, as Abstract Expressionism, Neo Expressionism and CoBrA. His recent investigations have taken him to the world of sculpture, made from different and strange materials, as rubber hose pipes, Styrofoam, cardboard or metal scraps. These three-dimensional art pieces are the part of his exhibition Nomander whose title refers to his childhood when his family moved frequently and he was often losing his belongings. His memories influenced on the materiality and his dimensional expression and revealed his strivings to push the work behind his boundaries. 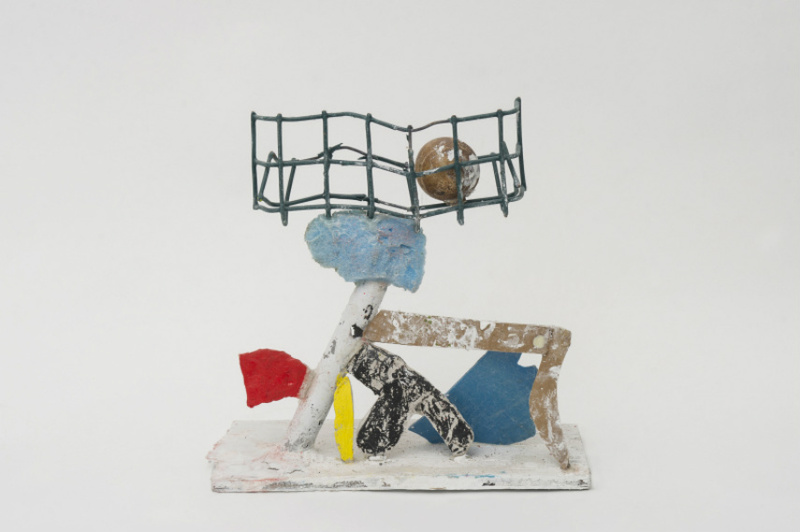 This works show the constant evolution in Martinez’s practice. 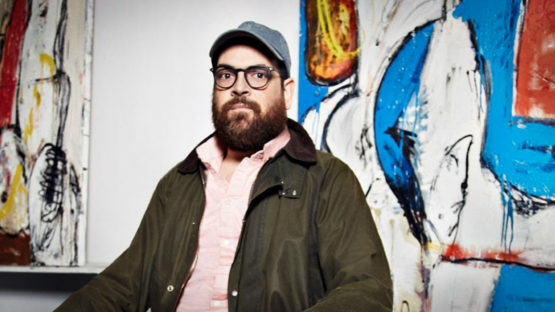 Eddie Martinez’s solo premiere has been held at ZieherSmith Gallery in New York in 2006, and before and after that his work was exhibited in numerous group shows. His paintings have been shown around the world and are owned by different institutions as the Macro Future Museum of Contemporary art in Rome. He has been a resident at Bauernmarkt, Lenikus Collection, Vienna, 2008 and was awarded First Place, Best Group Show in a Commercial Gallery for the Boston-area, by the International Association of Art Critics (AICA) Awards in 2007. Martinez’s work offers sincere optimism with the simple mixture of abstraction and figuration. With their internal logic, these paintings are the testimony of the way the artist sees the world. The color manipulation is the main characteristic of his work. Contrast combination of vivid colors is aggressively applied to the canvas. 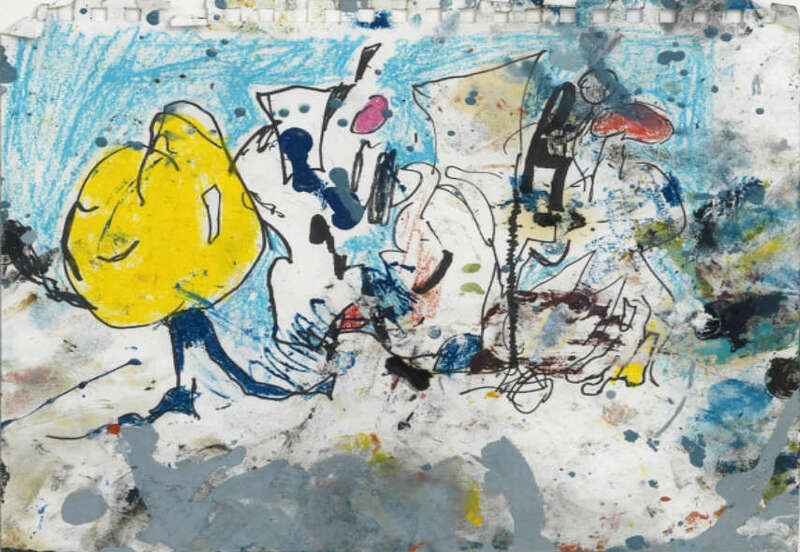 Blending splatters of oil paint with traces of marker he creates a messy surface with figures and shapes rarely situated in any perceivable scenery. Today, his work is recognizable for his bright colored cartoonish figures similar to graffiti design. Emitting the powerful energy, unknown and familiar forms coexist on the canvas emphasized with vivid colors and expressive lines. Eddie Martinez currently lives and works in Brooklyn, New York.